Is there any real distinction between the phrases “from the Bar” and “from among the advocates”? According to two recent Supreme Court of Canada decisions, the answer to that question must be an emphatic “yes”. The first decision is well-known to the legal community and to the public as a whole. In Reference re Supreme Court Act, ss. 5 and 6 (“Nadon”), the Supreme Court was asked to decide whether Justice Marc Nadon, a jurist sitting on the Federal Court of Appeal, was eligible for appointment to the Supreme Court to fill one of the three seats reserved for Quebec judges. 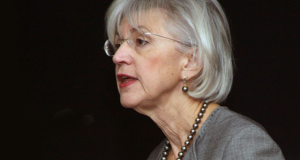 Justice Nadon had served in one of five seats that the Federal Courts Act reserves for persons who have been members of the Quebec bar or judges of the Superior Court or Court of Appeal of Quebec. In a 6-1 decision, the Court held Justice Nadon’s appointment was contrary to section 6 of the Supreme Court Act and was, in effect, unconstitutional. 5. Any person may be appointed a judge who is or has been a judge of a superior court of a province or a barrister or advocate of at least ten years standing at the bar of a province. 6. At least three of the judges shall be appointed from among the judges of the Court of Appeal or of the Superior Court of the Province of Quebec or from among the advocates of that Province. The majority of the Supreme Court held that the phrase “from among the advocates” in section 6 implicitly includes only current advocates in the Province of Quebec. Since Justice Nadon was neither a judge of the Court of Appeal or Superior Court of Quebec, nor a current advocate, he was not eligible to be appointed to the Supreme Court. More recently, the Supreme Court took a more liberal view of judicial appointments. In Quebec (Attorney General) v. Canada (Attorney General) (“Mainville”), the issue was whether Justice Robert Mainville, a sitting judge on the Federal Court of Appeal, could be appointed to the Quebec Court of Appeal. In this case, the relevant legislation was section 98 of the Constitution Act, 1867. It reads: The Judges of the Courts of Quebec shall be selected from the Bar of that Province. If one were to apply the Court’s reasoning from the Nadon decision, Justice Mainville would appear to be ineligible since he was not, at the time of his appointment, a member of the Quebec Bar. And yet, this would be a patently absurd reading of the text, since it would mean that no judge of Quebec’s Superior Court could ever be elevated to the Court of Appeal. Such an interpretation would run contrary not only to accepted practice, but to basic common sense. 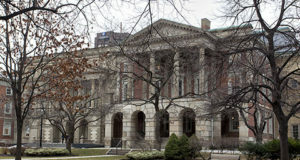 Not surprisingly, then, the Quebec Court of Appeal held that the phrase “from the Bar” referred both to current and former members of the Quebec Bar. 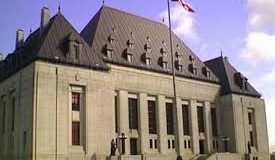 In an uncharacteristically brief ruling delivered from the Bench, the Supreme Court upheld the decision of the Court of Appeal and affirmed that Justice Mainville was eligible to be appointed to the Quebec Court of Appeal. Nadon and Mainville would appear to be in direct conflict with one another. There is no meaningful distinction between the words “advocates” and “Bar” – both refer to members of the Bar – and no meaningful distinction between the terms “from” and “from among.” In other words, the phrases “from among the advocates” and “from the Bar” should have the very same meaning. And yet, the Court has held that the former includes a temporal requirement, while the latter does not. To be sure, words and phrases may have different meanings in different statutes. “From the bar” would mean something very different in a statute dealing with the liability of barkeepers. But in the cases at issue, there is no relevant textual distinction. Both phrases deal with the eligibility of judicial appointments and both are silent on whether the appointee must be a current member. The implication is that one of the decisions was decided incorrectly, and since the opposite result in Mainville would have been wholly impracticable and would have invalidated decades of judicial appointments, we can fairly conclude that the flaw lies with the decision in Nadon. At the very least, the decision in Mainville suggests that the Court did not have its hands tied when it read section 6 of the Supreme Court Act to exclude Justice Nadon. 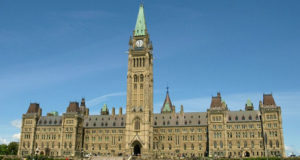 Defenders of the Nadon decision would undoubtedly take the position that Nadon and Mainville are not in fact incompatible, firstly because the phrases “from among the advocates” and “from the Bar” have different statutory or constitutional contexts, and secondly because their respective underlying purposes are distinct. These two arguments, in their own distinct ways, were the bases for the decision in Mainville and each deserves consideration. It may be argued that while the phrases “from among the advocates” and “from the Bar” have substantially the same meaning in the abstract, they appear in different statutory contexts and thus the interpretation of one should have no bearing on the other. The preceding section in the Supreme Court Act states that an individual may be appointed to the Supreme Court who “is or has been” a judge or a barrister. If the legislature had intended to include current and former members of the Quebec Bar, so the argument goes, it could have said so plainly, as it did in section 5. What this argument fails to recognize, however, is that sections 5 and 6 are, to quote Justice Michael Moldaver’s dissent, “inextricably linked.” Section 6 cannot be read in isolation, since to do so would lead to the absurd conclusion that any member of the Quebec Bar, including a person who had been called just one day earlier, could be appointed to the Supreme Court. Indeed, section 6 must be read as an extension of section 5 in a manner that does not alter the general criteria established by that section, and in particular, the requirement that appointees be current or former members of the Bar with at least ten years experience. If the ten-year requirement is read in to section 6, as it must be, then so too must the allowance for current and former advocates. Section 6 could have been enacted to read “At least three of the judge shall be appointed…from among the current advocates of that Province,” but it was not, and the absence of any explicit currency requirement should resolve in favour of a more inclusive interpretation since this best accords with the explicit language in section 5. This absurdity can be contrasted with another criticism many have levelled against Nadon, namely that it will serve as a disincentive for ambitious Quebec lawyers to accept judgeships on the Federal Court, as doing so would render them ineligible for a Supreme Court appointment. Most would agree that this is not a desirable outcome, but it does not rise to the level of a textual absurdity. Whereas the Court should generally not be concerned with policy outcomes, it must be concerned with avoiding absurd interpretations. And indeed, in the face of the ‘lawyer for a day’ absurdity, it was incumbent upon the Supreme Court to reject a strict interpretation, especially since another textually acceptable meaning was at its disposal. The first problem with the purposive argument is that this purpose would arguably apply equally to section 98 of the Constitution Act, 1867. Confederation, after all, was itself a grand “compromise.” The people of Quebec would have been just as concerned in 1867 as they were eight years later about preserving their “distinct legal traditions and social values” on Quebec courts. Surely, one of the goals of Confederation was to “enhance the confidence of the people of Quebec” that their civil law tradition and culture would not be swept away by the new central government, which was granted the power to appoint the judges of the Superior Court and Court of Appeal of Quebec. 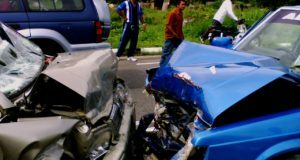 The broader objection to the purposive argument is that this alleged underlying purpose cannot be proven with any certainty. Discerning the intention of Members of Parliament in 1875 is hardly an easy task in 2015. While there is convincing evidence that Members of Parliament were generally mindful of the need to have judges from Quebec who were versed in civil law, there is a paucity of historical evidence that Parliament saw section 6 of the Supreme Court Act as an opportunity to preserve Quebec’s “social values” and “enhance the confidence of the people of Quebec in the Supreme Court.” Even if some legislators were explicitly of this view, others may have simply wanted at least three judges who were versed in civil law. Other legislators may have been primarily concerned with the optics of having at least three judges from Quebec. Others still may have had no opinion on the issue and may have been solely preoccupied with the establishment of a Supreme Court. The question also deserves to be asked: even if we do accept this elusive purpose, in what way is that purpose frustrated by the appointment of a judge who is from Quebec, studied law in Quebec, and practiced in Quebec? Why would Justice Nadon, to quote the majority, not be “perceived by Quebecers” as being qualified to represent Quebec simply because he has not practiced law there in some time? 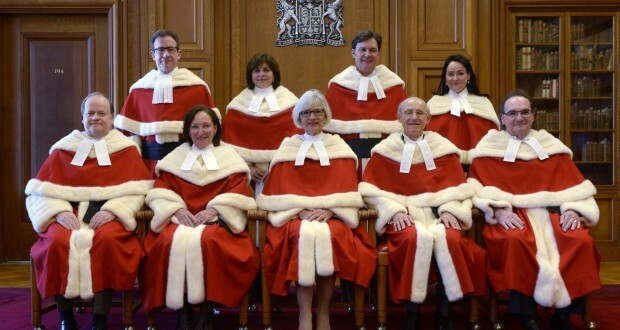 As noted above, Justice Nadon held one of five seats on the Federal Court of Appeal reserved for jurists who have been members of the Quebec Bar. 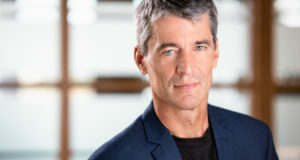 Chief Justice Marc Noël of the Federal Court of Appeal, a former tax lawyer in Montreal who uses his civil law expertise on a daily basis, has noted that the five seats are reserved for Quebec to ensure that the Court retains a depth of civil law expertise. How is that insufficient for the Supreme Court of Canada? In sum, the discrepancy between the Nadon and Mainville rulings is not the result of different statutory contexts or underlying purposes; it is simply the result of different approaches to statutory and constitutional interpretation. In Nadon, the majority of the Supreme Court relied on an overly strict construction of the text, while paradoxically affirming an underlying purpose that had no basis in the text. 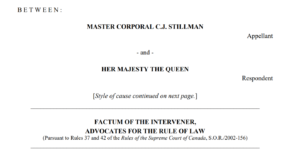 In Mainville, the Quebec Court of Appeal gave section 98 of the Constitution Act, 1867 a fair reading that accords with common sense and avoids absurdity. Far from being distinguishable or inapplicable, the Mainville decision underscores the already inescapable conclusion that the majority in Nadon got it wrong.